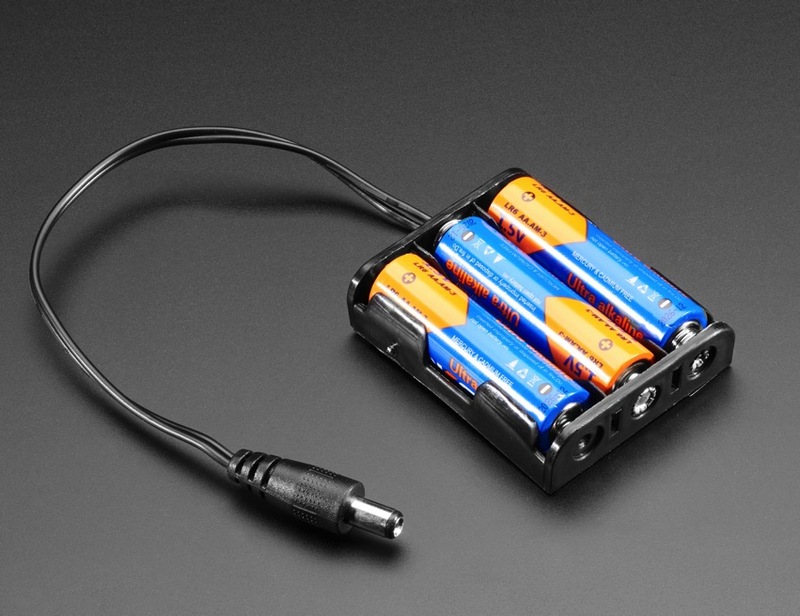 NEW PRODUCT – 3 x AA Battery Holder with 2.1mm Plug « Adafruit Industries – Makers, hackers, artists, designers and engineers! 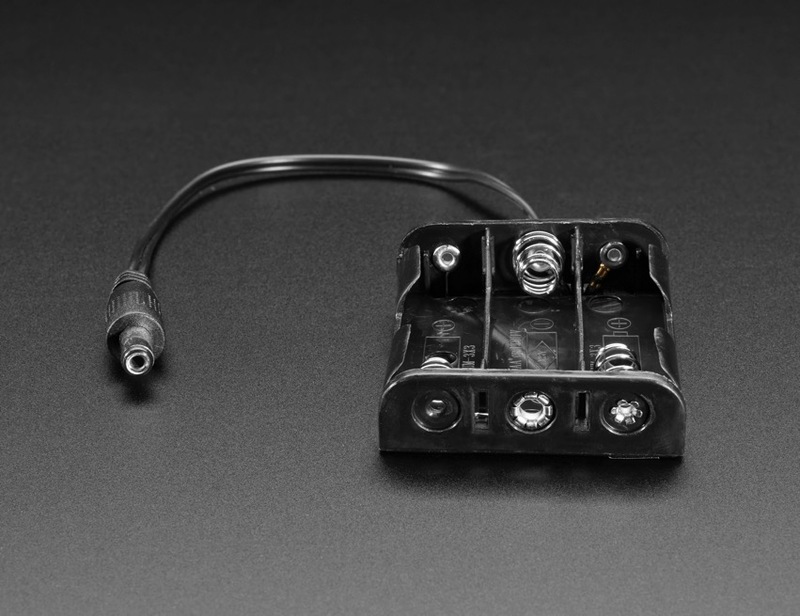 Here’s another addition to our growing family of AA battery holders. A holder for three (3) AA batteries! 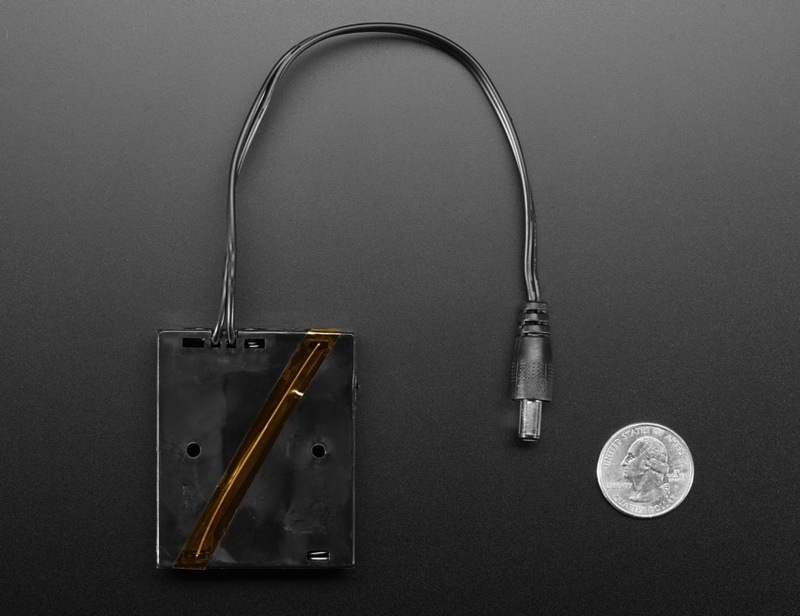 It’s got an 8″ long power cable with a 2.1mm DC jack at the end, and, oh yes, it’s in classy Adafruit black. Power cable is 200mm long with a DC jack with 2.1mm ID with center-positive polarity.